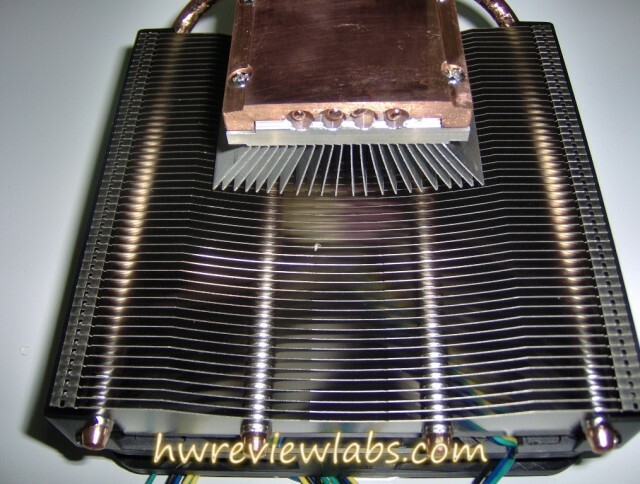 Nexus was founded at 2000 with a simple goal, to minimize noise and have a better thermal performance. 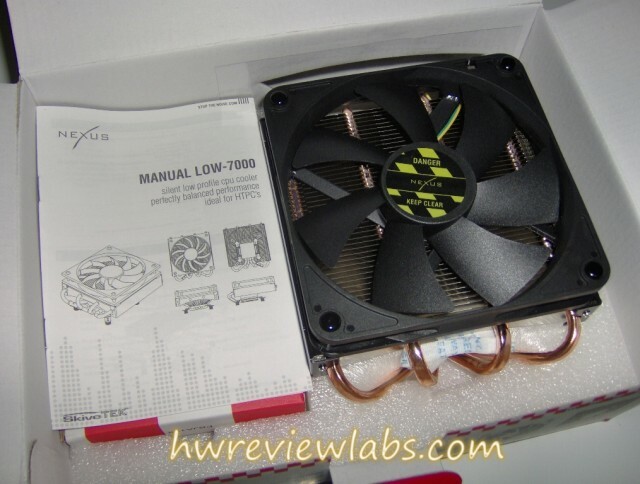 Today we have a sample of the new Nexus LOW-7000 for Lga 1336-775. 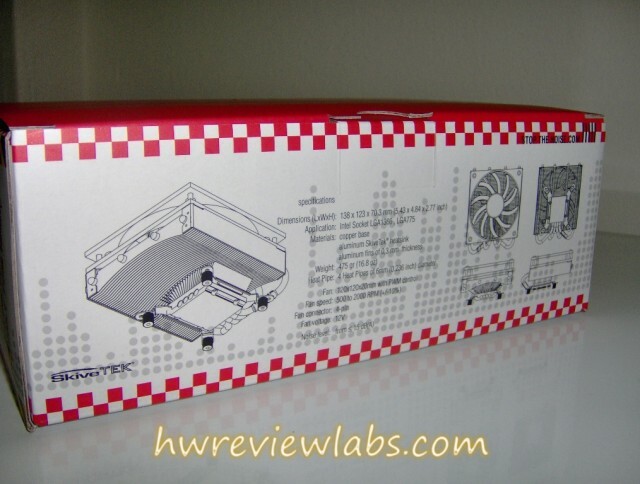 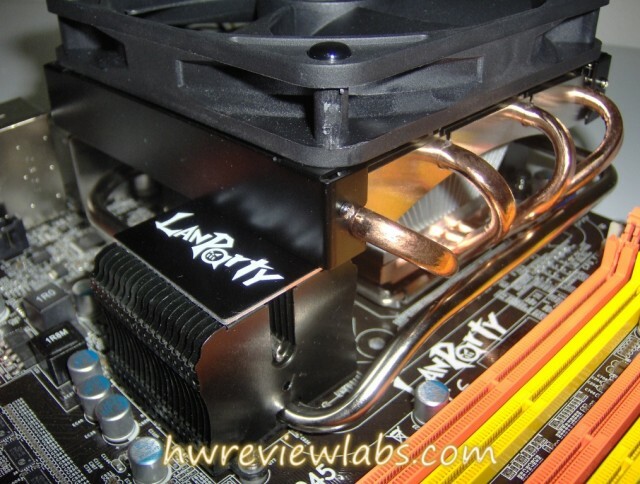 It is a HTPC cooler mainly, with restricted height.This cooler is only 7 centimeters tall!!! 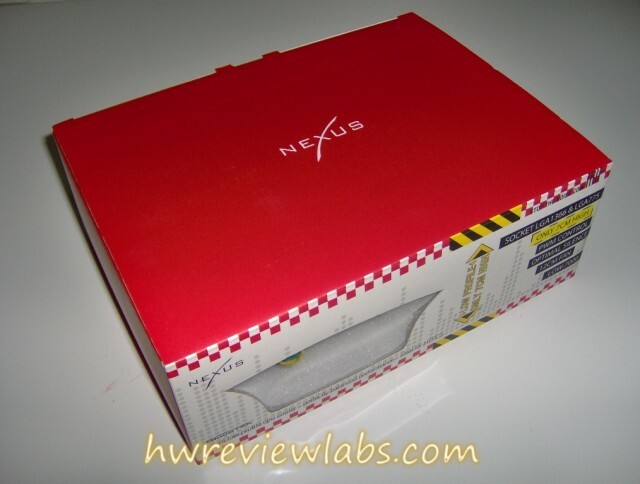 The box is very simple, with the Nexus logo on top. 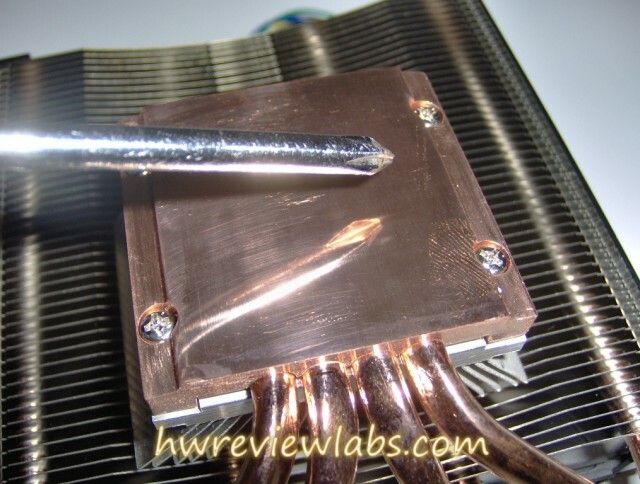 From the side we can see the 4 heatpipes and skive-tek base. 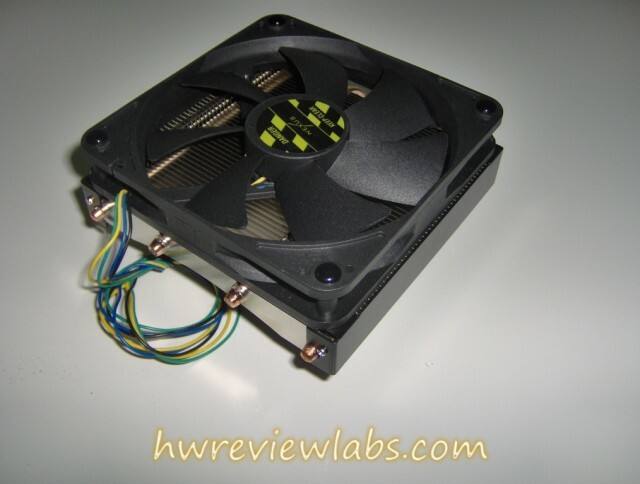 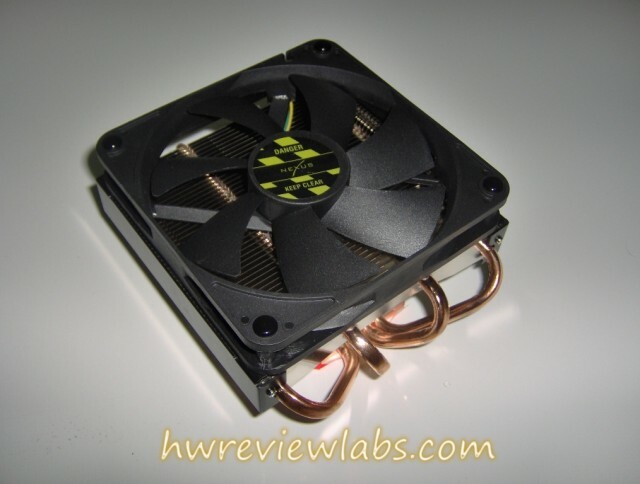 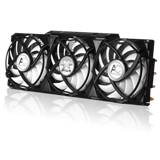 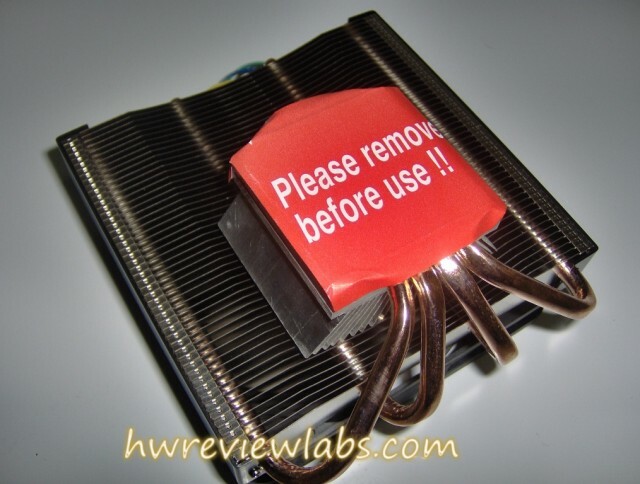 Some care must be taken if we are interested to buy this cooler,because the height is very low, and this can cause problems with motherboards that have tall heatsinks.For example you can check below the problem with a DFI motherboard. 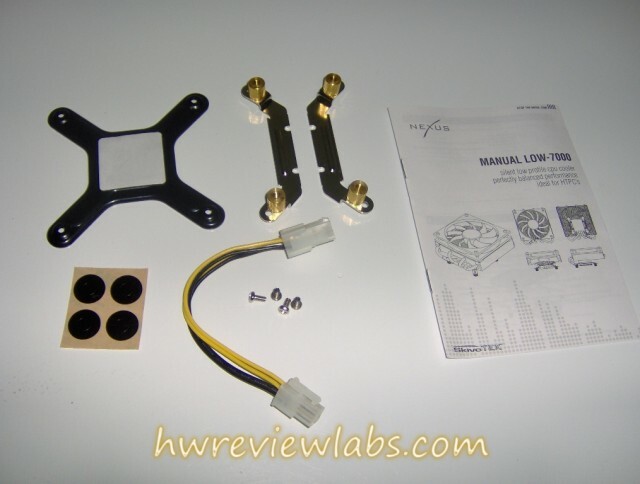 Now let's go to the testing! 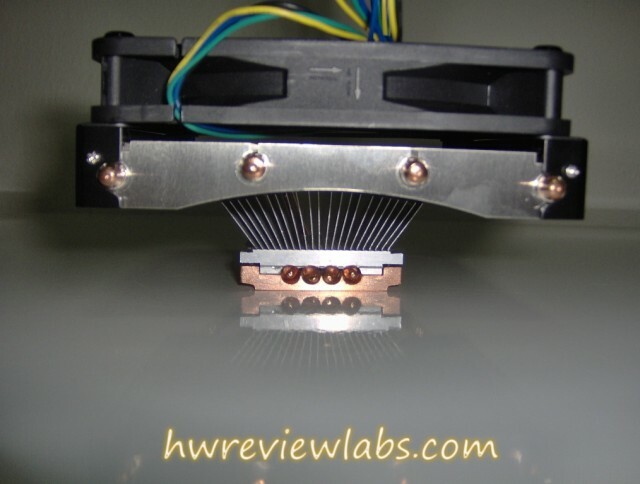 The test will be done using peltier modules, as they provide the most accurate readings by having a steady heat load. 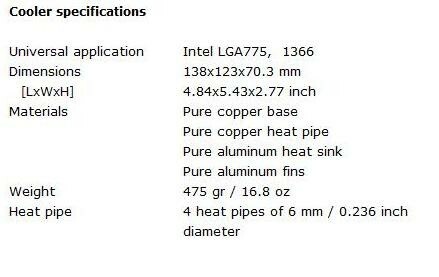 Test will be done using 3 heat loads, 45.6,91.2 and 136.8 watt. 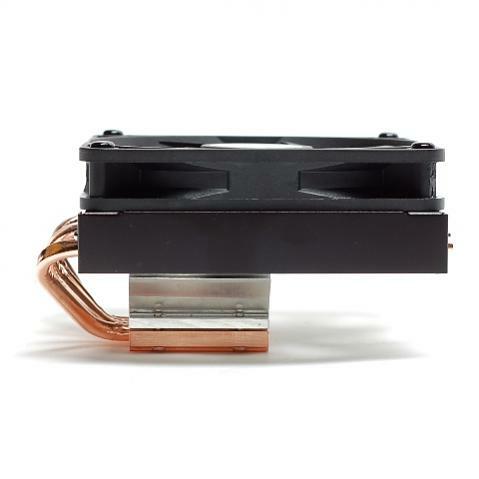 I will use Arctic Ceramique, and the temp will be taken from a copper plate between peltier and cooler base. 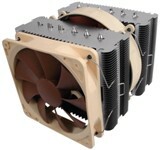 For comparison I will use only stock Intel cooler, because it is made for HTPC and I have to use small coolers. 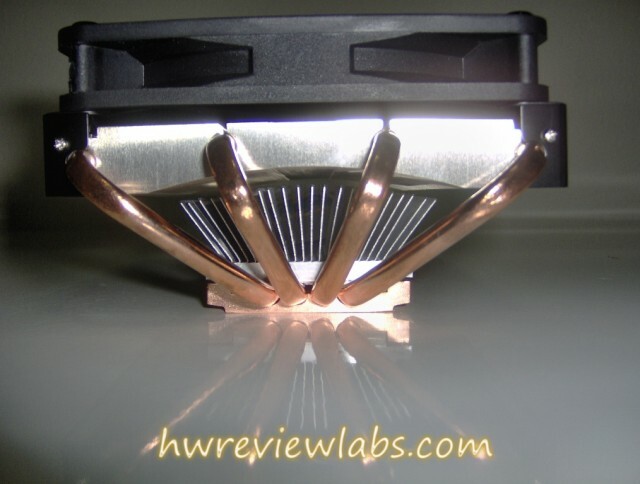 We can see that at low heat loads it performs very well if we consider its size.At high wattage as expected the performance drops, this is not a problem because there is no chance for a HTPC to exceed 100w of thermal load on the cpu. 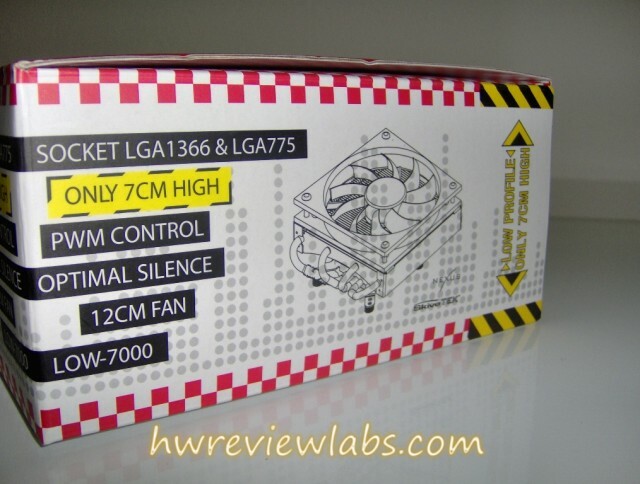 Very nice choice for HTPC, with restricted height and good performance while keeping the noise at low levels.The price is a little high, but this is normal..every HTPC component is overpriced.The big advantage is the low height and there are very few coolers.Performace is good if we consider the size of the cooler.We must not forget that it is intended for HTPC's in order to reduce noise and offer some more performance than the stock one.